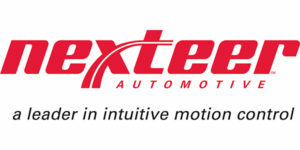 Nexteer Automotive is expanding its global operations with two new facilities in southern India: a new software center in Bengaluru to support growing demand for software-enabled functionality in advanced steering applications and a new production facility in Chennai to manufacture Nexteer’s safety-critical Electric Power Steering (EPS) systems and driveline products. To address the industry’s growing need for software in safety and performance, Nexteer launched its India Software Center (ISC) this week in Bengaluru. The new facility focuses on downstream software production and validation – ensuring quality and compliance with regulations. Meanwhile, Nexteer’s Global Technical Center in the U.S, in tandem with regional technical centers in Poland and China, will continue upstream software development and R&D innovation. Currently, Nexteer’s ISC employs nearly 100 Nexteer software engineers, with plans to grow to 200 employees by the end of 2019. These engineers work on all aspects of software and calibration projects – from architecture development through delivery. “As part of Nexteer’s global team, the ISC engineers work on the industry’s leading edge – creating designs for varying levels of automated driving and cyber security,” said Usha Holalkere, engineering and operations director, Nexteer India Software Center. Nexteer’s third manufacturing plant in India, the new Chennai facility, also celebrated its grand opening this week. The space, which covers almost 90,000 square feet, expands regional production capacity for Nexteer’s EPS systems. “The opening of Nexteer’s facility in Chennai and our expanded production capacity in India are important pieces in our global strategy and represent our confidence in the growth potential of the automotive market within this region,” said Tao Liu, senior vice president and global chief operating officer, Nexteer Automotive.